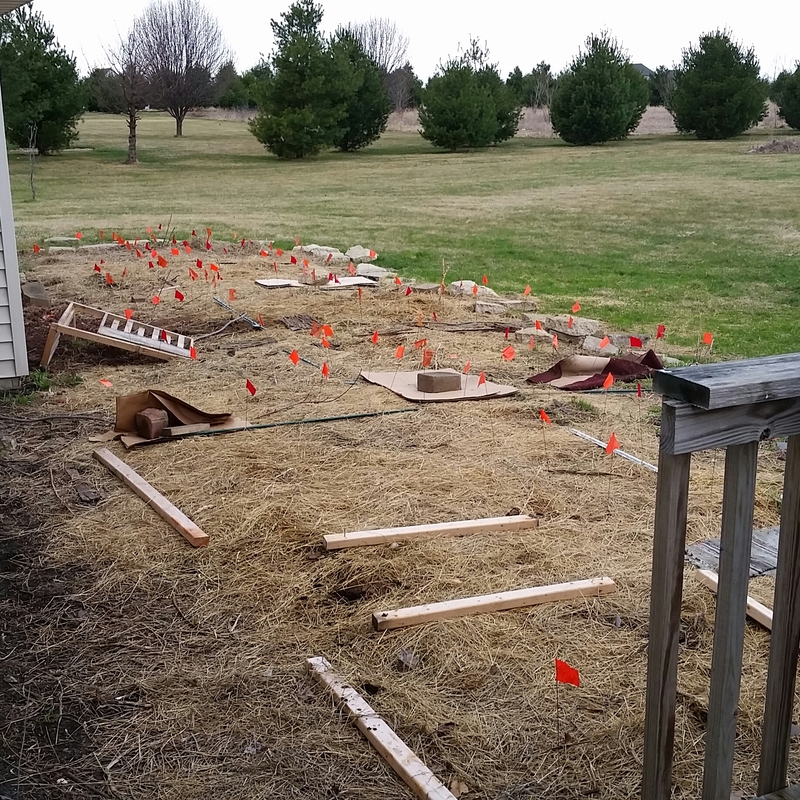 Today is the perfect day to lay garden paths. I try every year to define walking paths so we don’t compress the soil when harvesting. I have the best of intentions at the start of the season. Then I get distracted by the boys lazy and the weeds and plants eventually take over. The garden turns into a beautiful jungle. 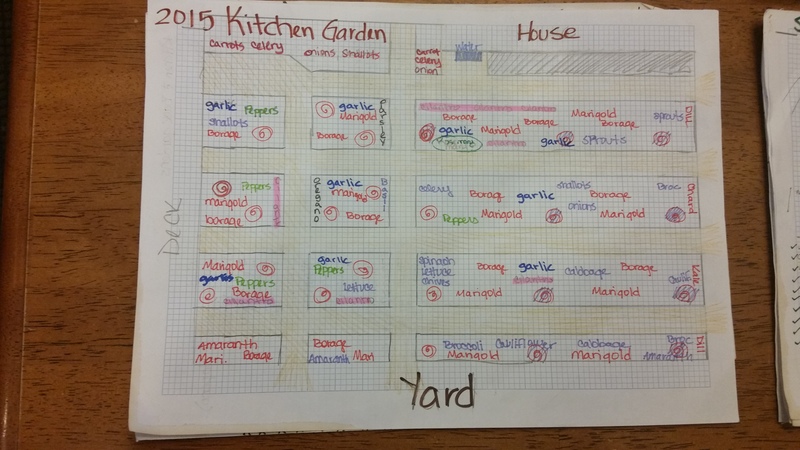 When I designed the kitchen garden this year, I drew up a grid with paths. Each square has a group of plants designed to work together all season. Even though the patches will be bigger and a square foot, I’m using the same basic idea. Borage in almost every square. Today is perfect for defining these planned paths because it’s a little rainy and there’s almost no wind. It’s everywhere and free if you know a friend who’s moving, order anything from Amazon or ask the grocery store to save their boxes. Of course, you won’t want to use coated or heavily inked cardboard. It’s biodegradable. It will decompose within 3 months…perfect for the garden season. It will hold water and keep it where it is needed: in your garden. It’s worm food. Worms love munching on it. They munch away and their waste makes an awesome soil amendment. They aerate and drain the soil making it an ideal gardening environment. It’s function stacking and making use of renewable resources. Permaculture at work. I’ve already laid out the paths I want. The next step is to cut the cardboard to size and secure with landscaping staples. I’m not sure I will cover with wood chips. I think the cardboard will be enough of a barrier. I’m not too worried about how it will look either. It’s more important that it works. This entry was posted in A to Z Blog Challenge, Garden Stories, Permaculture, Writing. Bookmark the permalink. I know what you mean by good intentions and the later jungle. Somehow it works out. Last year I did likewise with cardboard that I’d been hoarding, then covered with wood chips. It turned out to be the best, most weed-free garden path I’ve had in 40 years of gardening! That is exactly what I’m hoping for! Good to hear that it works!